Hillary Manton Lodge Fiction: Fresh Flavor Friday: Adventures in Gardening with Katherine Reay + Book Giveaway! Fresh Flavor Friday: Adventures in Gardening with Katherine Reay + Book Giveaway! 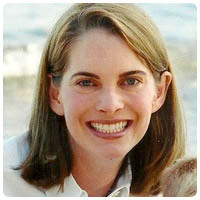 Hillary here - so delighted to have guest Katherine Reay to chat about her adventures in gardening! My family loves food. When we lived in Ireland, another family and ours would get together and share a huge Sunday dinner – one that took hours to cook and an equally long time to enjoy. Now that we're back in the states, Sunday dinner remains one of our favorite family traditions. The menu varies – barbeque one week, Coq au Vin another and some multi-course Italian extravaganza at least monthly. We love the time together, searching for the menu, and the cooking. We endure the clean-up. In fact, when writing Lizzy and Jane, I tapped into this passion. Most of Lizzy’s food comes from family favorites. But this summer we tried something new. We started our first garden. It was an amazing experience and changed the way we cook and even think about food. Last spring, we built our raised beds, filled them with buckets and buckets of dirt, planted the vegetables, cultivated and pruned them, and now we’re still harvesting the bounty. There’s much to learn, but we’re pleased so far. Tomatoes are everywhere – one family does not need eight plants – and the zucchini tried to take over the world. Wilber (my name for the much anticipated ginormous pumpkin plant) was the only true disappointment – no pumpkins. As the garden started to flourish, we found ourselves looking at our produce first rather than our recipe books. The food drove the decisions and we devised new ways to cook. We devoured more fresh salads (even converted a kid to actually liking them), sautéed vegetables with new spices, and packed zucchini into practically every course – bread, risotto, as a “boat” for meatloaf and even shredded as pasta. It was an adventure – and not every meal a success. Warning: If you shred your zucchini too fine, you don’t get pasta strips; you get mush. Summer is ending now and the garden will soon go dormant, but I expect much of what we learned will remain. We’ll look for fresh offerings, keep as close to local as possible and, come spring, start all over again. This time, I’m determined to solve the Wilber Situation. 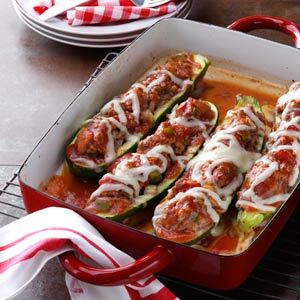 One of our favorites this year was Stuffed Zucchini. This recipe is from Taste of Home. Happy Cooking! 1 jalapeno pepper, minced – don’t touch your eyes. 1 tablespoon dried parsley flakes – we used fresh, 2 tbsp. 1 teaspoon dried basil – we used fresh from the garden, a full tbsp. 1. In a large bowl, combine first 11 ingredients and one can of the tomato sauce; mix well. Stir in tomatoes. Halve zucchini lengthwise; scoop out seeds. Fill with meat mixture; place in two 13-in. x 9-in. baking dishes. Spoon remaining tomato sauce over each. 2. Bake, uncovered, at 375° for 45 minutes or until the zucchini is tender. Sprinkle with cheese during the last few minutes of baking. 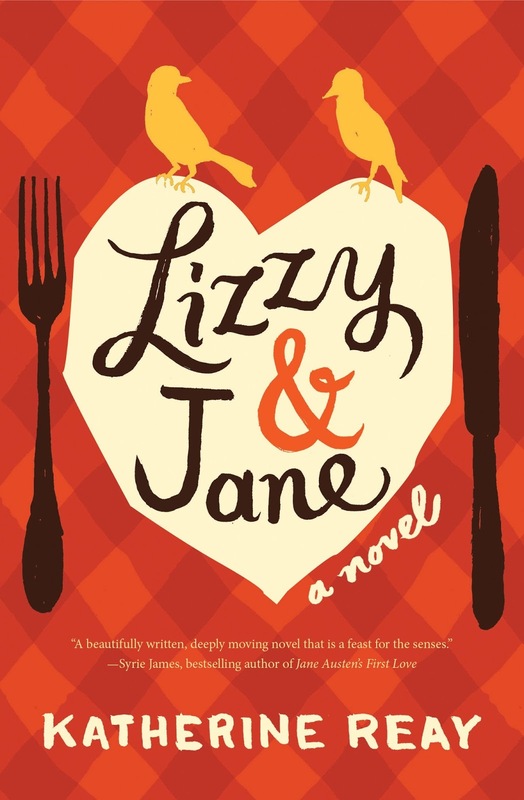 And because it's Friday and Sunny out but *not* 90+ degrees here in Portland, giving away two books today - a copy of Katherine's Lizzy and Jane and a copy of Reservations for Two. Use the form below to enter! My favorite warm weather food is cold watermelon! I love fresh cucumber sandwiches and a pasta salad when it's too hot to cook. When I first started dating my boyfriend we started a garden in my backyard, and it was incredible! We loved working in the garden together, and I loved talking to all of my baby plants and celebrating each new leaf, new inch, new bud, and new fruit. We've planted a garden every year since then. We're on garden number 4 right now, and our tomatoes were the absolute best this year!! I've loved being able to experiment in the kitchen with the different veggies we've grown ☺️ My favorite warm weather food... Probably fresh garden salsa! Just about anything with fresh fruit is my favorite! This was our 3rd year for a garden; I always get over ambitious- we placed 19 tomato plants this year! But we love seeing which ones flourish, and we try to adjust for next year. Our favorites are the SunSugars - the small orange ones. But my favorite summer foods are corn on the cob, grilled cheeseburgers, and watermelon! Eat Clean. Eat Fresh. Eat Local.